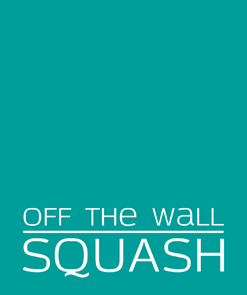 We’ve been revamping our approach to the junior squash section and the junior coaching. The main change so far (other than two new coaches) has been to open up the courts on a Saturday afternoon to juniors outside of the formal coaching between 1 and 4pm. We think this has been a great change and it is good to see the courts busy with junior members enjoying squash. We are looking to further enhance our coaching to allow our juniors to develop quickly. We want them to learn to love what is a fantastic sport by giving them the necessary skills and knowledge to be able to compete and enjoy their time on court. Our coaches will be able to identify the specific skills required for each player to progress to the next award level and focus specifically on how to help each junior become the best they can. On completion of a level, there will be the option to buy (for a very small fee!) a certificate and wrist band to mark the occasion and put on their bedroom wall. Over the next month or two, we will progressively assess the current level of all the juniors and agree an appropriate level to enter the scheme. From then on we will continuously assess progress and we hope to have our first award ceremony within a few months. A description of the scheme, the levels and the skills that must be mastered and a progress chart are on display on the junior noticeboard. We’ll also shortly be relaunching the Grove Park Potential Squash Academy. It’s is an invite only squash academy for juniors at Grove Park who have demonstrated enthusiasm for squash, a willingness to improve and good behaviour at squash sessions. There is an emphasis on learning and improvement during all sessions. Sessions will take place on Wednesday evening with our coaches, Jule Abbas and Dan Zaidi.